Moss Bros has employed the heavily tattooed model Billy Huxley to demonstrate the brand's new look, as it gears up for a complete overhaul of its fashion sub-brands this summer. Commercial and operations director Jemima Bird told Marketing that Moss Bros is relaunching its four brands this year to show consumers that it is more than "a hire business". 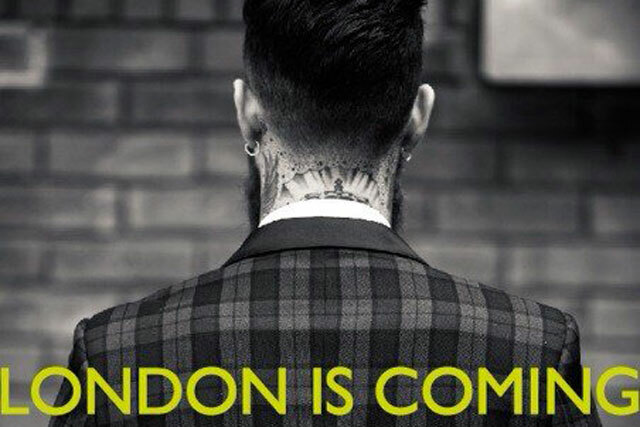 A teaser ad has been created ahead of the first marketing push for Moss London in June, showing Huxley, a bearded, alternative model covered in tattoos from neck to knee, modelling the brand’s underwear, before getting dressed into a slim-fitting suit. Bird said: "The idea around the brand is that London is ubiquitous. You don’t have to be from London to have the spirit of London, it’s about movement, passion and individuality. It doesn’t matter if you’re a tattooist from Liverpool, you can have a ubiquitous spirit. "For us, these campaigns are about changing people’s perception about Moss Bros. We are a modern retailer that has a luxury you probably wouldn’t have thought of." Following the launch of Moss London – the fashion brand for a "skinnier fitting suit" – there will be the Moss 1851 launch for a brand that offers "pared-back aesthetics" and "a much more tailored fit"; followed by the Savoy Taylor’s Guild brand, which has "timeless finesse"; and the Moss Esq., which is the brand’s "entry level collection". Since joining the brand in August last year as the commercial and operations director, Bird has built up a strong marketing and creative team, hiring Susan Wilkinson as the marketing director in September and Sotos Georgalli as the creative director. The new brand work has been carried out in-house and the first campaign will break in June.